Opp. Ankur School, Nr. Jain Merchant Five Road, Paldi, Ahmedabad, Gujarat, 380006. Hotel Neelkanth Bliss combines comfort with value for money guests the assurance of a relaxed stay More Info..
Nr. Gujarat Vidhyapith, Ashram Road, Nr. 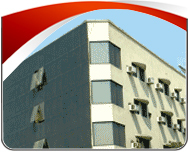 C.U.Shah College, Income Tax, Ahmedabad, Gujarat, 380014. Hotel Neelkanth Blues A perfect blend of luxury with premium business class hotel and a service apartment Neelkanth Blues is ideal for senio More Info..
Nr. Udipi Cafe, Paldi Cross Road, Paldi, Ahmedabad, Gujarat, 380006. 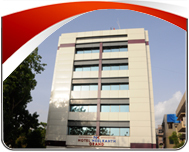 Hotel Neelkanth Crystal strategicallynbsp located in Ahmedabad business area Neelkanth crystal optimally addresses the new age business More Info..
Nr. Champaner Society, Usmanpura, Ashram Road, Ahmedabad, Gujarat, 380013. Hotel Neelkanth Grand is an experience combining heart warming hospitality with contemporary facilities The hotel offers finest hospitality i More Info..
Opp. 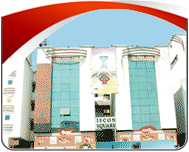 Navchetan School, Paldi Cross Road, Paldi, Ahmedabad, Gujarat, 380006. A dream like coming true Neelkanth Inn offer a cheerful vibrant and inviting experience for th quality conscious business travellers Neelkant More Info..
Madalpur Underbridge, B/h., Town Hall, Ellisbridge, Ahmedabad, Gujarat, 380006. 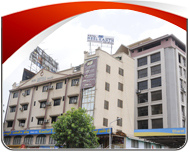 Hotel Neelkanth Panshikura The hotel has a perfect location and is a finest budget hotel The hotel is an ideal option for business tavellers More Info..
Ellisbridge Cross Road, Opp. 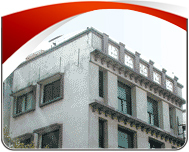 Town Hall, Near Karnavati Hospital, Ellisbridge, Ahmedabad, Gujarat, 380006. 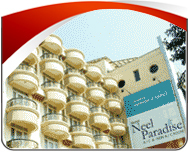 Hotel Neelkanth Paradise is located in the heart of commercial area of Ahmedabad on the banks of River Sabarmati It is easily accessible from More Info..
2nd Floor, Iscon Square, Opp. 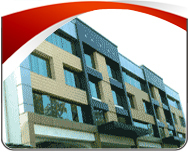 Kothawala Flat, Paldi, Ahmedabad, Gujarat, 380006. 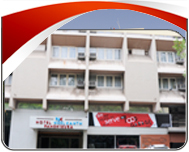 Hotel Neelkanth Sahara is a budget hotel for the travellers The hotel offers economy rooms facilities for conferences and leisure More Info..
Opp. Sidi Saiyad Jali, Lal Darwaja, Ahmedabad, Gujarat, 380001. The House of MG is in the memory of Sheth Mangaldas Girdhardas amongst Ahmedabads foremost businessmen and philanthropist of the 20th century He started his More Info..
Dafnala, Shahibaug, Ahmedabad, Gujarat, 380004. Hotel Siddhartha Palace was originally the property of the Divan of Kutch Shri Chaitanya Prasad Divan Shri Chaitanya Prasad had dreamt to build a royal struct More Info..